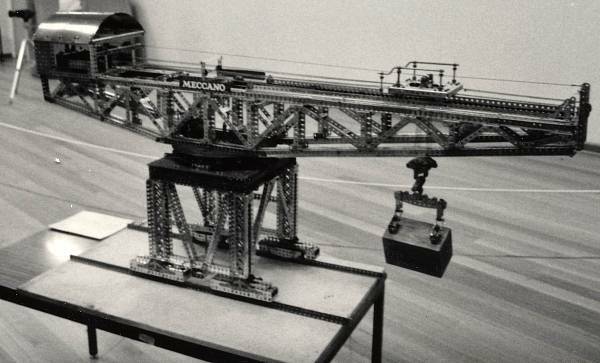 In June 1968 the MM published instructions for Sig. 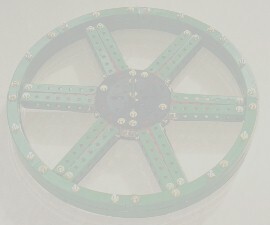 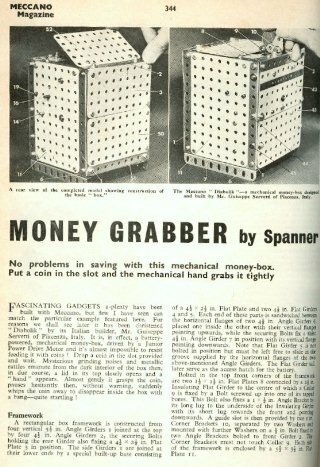 Servettis Meccano Money Grabber and I built one designed to take 5 cent pieces. 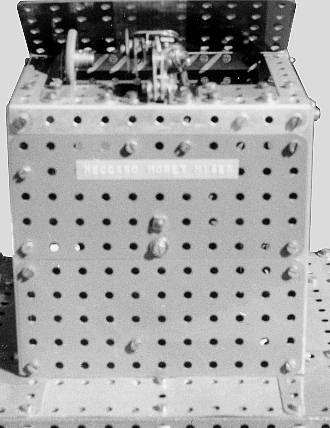 Servettis model itself was built in a 5 ½ cube which I attached to the top of a 12 ½ square box, 5 12 high which had room for 8 D Cells to power the EMEBO motor which operated the mechanism plus a box to collect the coins. 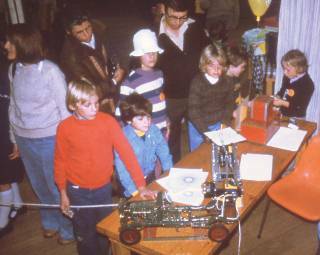 I used the Meccano Money Miser as part of my display to collect extra cash for the School running the Fete and it always took a few dollars. 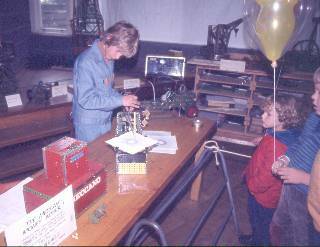 The fact that there were no wires going into the box, nor were there any visible signs as to how the box could be opened tended to intrigue the kids.